KEN YUSZKUS/Staff photo. 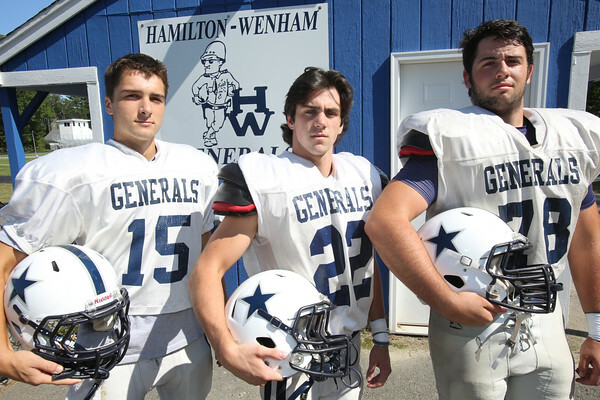 Hamilton-Wenham Regional High School football captains from left, Tommy Rostad, Hunter Ascollilo, and James Craig. 9/1/15.